Thank you FlyByPromotions for partnering with me on this blog post & for the great giveaway! 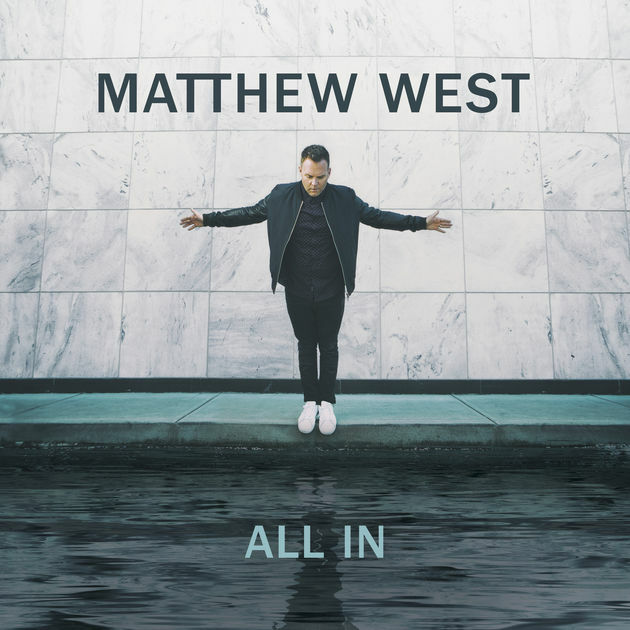 I was so excited to hear that Matthew West was getting ready to release his new CD, titled All In. His music is some that seems to never grow old, and he has songs that last in your memory forever. Who doesn’t remember “Hello, My Name Is” or “Grace Wins?” His songs always bring a smile, or make you think a bit. This new #AllIn album has more great ones. I really love the fourth song on the album, titled “Amen.” This is one that I bet would be absolutely amazing at a concert. Having everyone clapping and going for it, that one is going to make memories. The sounds of all of the songs are amazing. The story when you listen to #AllIn really makes you think. Sometimes we do need to just jump from the side of the pool and know that God will catch us….even though we might have to swim for just a bit. He’s teaching us to be ready and to know that no matter what He’s there with us! This new CD is amazing, and I’m sure that there are many who will love it. If it’s something that seems to be in the area of music, that you’ll enjoy, then enter to win a copy of the CD below. Leave a comment of what song you would like, or who you would give this to. Thank you for stopping by and checking out my review. Matthew West’s brand new studio album ‘All In’ is releasing on September 22 with a pre-order starting on August 4. In this project, Matthew shifts from telling the stories of others to sharing stories of his own life. He explores the idea of what it means to go ‘all in’ with his family, faith, and friends. Matthew West is a four-time GRAMMY®:registered: nominee, a multiple-ASCAP Christian Music Songwriter/Artist of the Year winner and Dove Award recipient, and was awarded an American Music Award (2013), a Billboard Music Award (Top Christian Artist, 2014), a K-LOVE Fan Award (2016), and named Billboard’s Hot Christian Songwriter of the Year (2016). West also received a Primetime Emmy®:registered: Award nomination for Original Music & Lyrics for “The Heart of Christmas” from the film of the same name. In addition to his own recording career, he has co-hosted the K-LOVE Fan Awards three times and has more than 130 songwriting credits to his name, including cuts by Rascal Flatts, Scotty McCreery, Casting Crowns, Michael W. Smith, Amy Grant, and Mandisa, among others. Selling more than 1.6 million albums to date (TEA), West’s discography includes acclaimed releases: Live Forever (2015), GRAMMY-nominated Into The Light (2012), The Story of Your Life (2010), Something to Say (2008), History (2005) and Happy (2003). Disclaimer: I, Jamie Tomkins, own and operate TigerStrypes Blog located at www.tigerstrypes.com. From time to time you’ll hear about my real life experiences with products and/or services from companies and individuals. Let it be known that I have an affiliation with these said companies, and have not received compensation for reviewing their service/product. The service/product was given to me by the company or any agents of the company. The review that I give regarding the product/service is based off my own personal experience; I do not guarantee that your experience will be the same. Disclosure (in accordance with the FTC’s 16 CFR, Part 255:  “Guides Concerning the Use of Endorsements and Testimonials in Advertising”):  Many thanks to Propeller Consulting, LLC for providing this prize for the giveaway. Choice of winners and opinions are 100% my own and NOT influenced by monetary compensation. I did receive a sample of the product in exchange for this review and post. Only one entrant per mailing address, per giveaway. If you have won a prize from our sponsor Propeller /FlyBy Promotions in the last 30 days on the same blog, you are not eligible to win. Or if you have won the same prize on another blog, you are not eligible to win it again. Winner is subject to eligibility verification. First I’m hearing of this artist or his music. Thank you for the intro. No, unfortunately there is not a Mathew West concert near me. I like his voice and the song is awesome built on true goals. Thank-you for introducing me to his music! He is a great artist, Gladys. Thanks for stopping by!